What did Eileen have to say about some of the newer cast members? 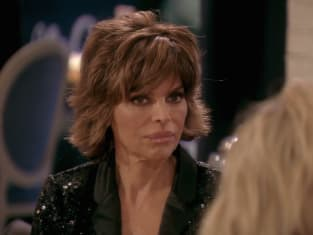 That was addressed on The Real Housewives of Beverly Hills Season 8 Episode 13 when Erika and Lisa R met up with their former friend. Meanwhile, Kyle struggled with whether it was time to move to a brand new home, or stay at her current one. Also, Teddi revealed some shocking details about Dorit and it made Lisa Rinna wonder who was telling the truth. Get caught up on all of the fun right now.